Reproductive Models There are 9 products. Genital Organ Model, Male. Natural Size 4 Pc. Reproductive Organ Model, Male. External, Natural Size. 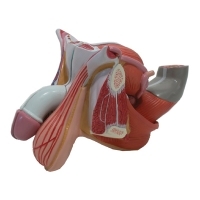 This natural size replica, mounted on a base, shows the external structure of the male genital organs. 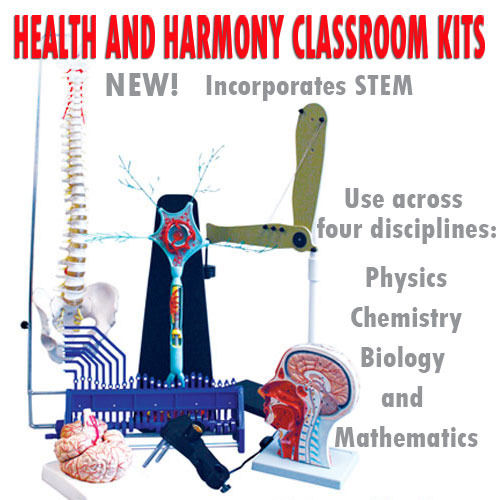 Excellent for training in education, clinic or industry. 15 x 20 x 10 cm. Pelvis Model, Female, 3 Pc. Pregnant, With 1 Month Fetus. 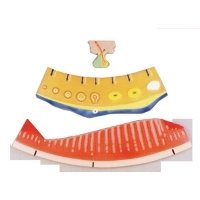 This three dimensional life size model features a dissection through the median sagittal section of the female pelvis to reveal internal structures of the urogenital system in great detail. Half of the female reproductive system is removable. 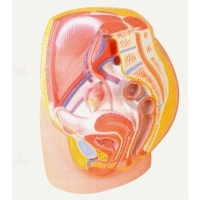 Uterus opens to expose medial and transverse sectional views. 25 x 18 x 27 cm. Weight: 1.3kg. Pelvis Model, Female, 3 Pc. with 8 Week Embryo, Natural Size. 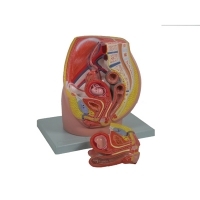 This life sized model shows an internal view of the female pelvis through the median sagittal section. The internal organs of the female urinary and reproductive systems are exposed along with an 8-week embryo in utero. 25 x 18 x 27 cm. Weight: 1.5kg. Genital Organ Model, Female. Natural Size, 4 Pc. 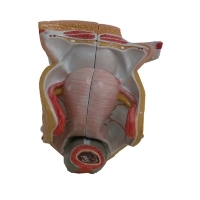 This four-part relief model depicts the female reproductive system dissected through a median sagittal section. 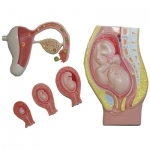 Includes a removable 2-part uterus and removable halves of the reproductive system with details of its internal structure. 14 x 14 x 12 cm. Menstrual Cycle Model. 3 Pc. This 3-part relief model shows the relationship between female hormone levels and changes in the uterine lining during the menstrual cycle. 53 x 38 x 5 cm. Weight: 1.7kg.